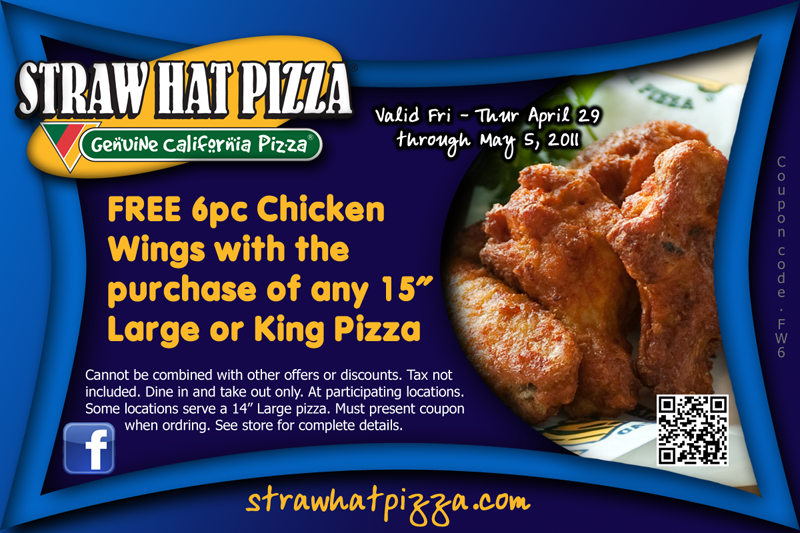 Straw Hat Pizza: FREE Chicken Wings! 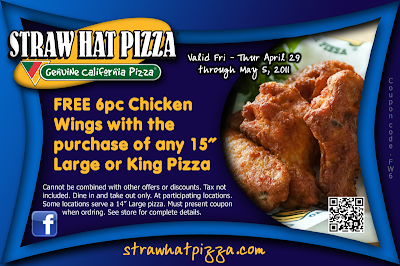 Click "SHARE" to tell your family and friends about this special. Must present badge or valid ID when ordering. Dine in or take out only. Cannot be combined with other offers or discounts. At participating locations. Tax not included. See store for complete details. Excludes alcohol and lunch buffet.